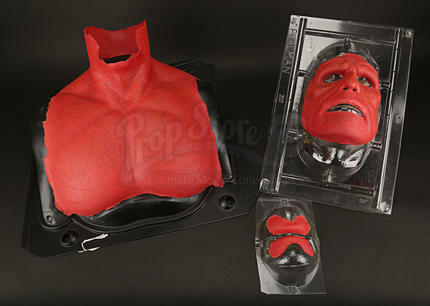 Hellboy’s (Ron Perlman) prosthetic face, chest and lips from the production of Guillermo del Toro’s 2004 comic book adaptation Hellboy. 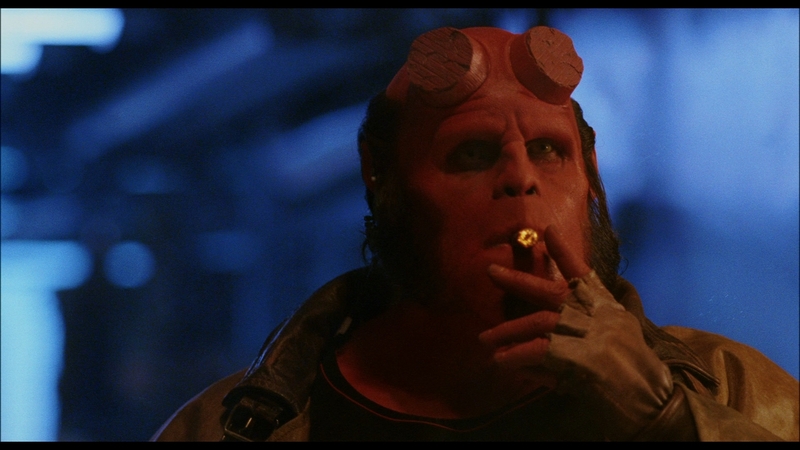 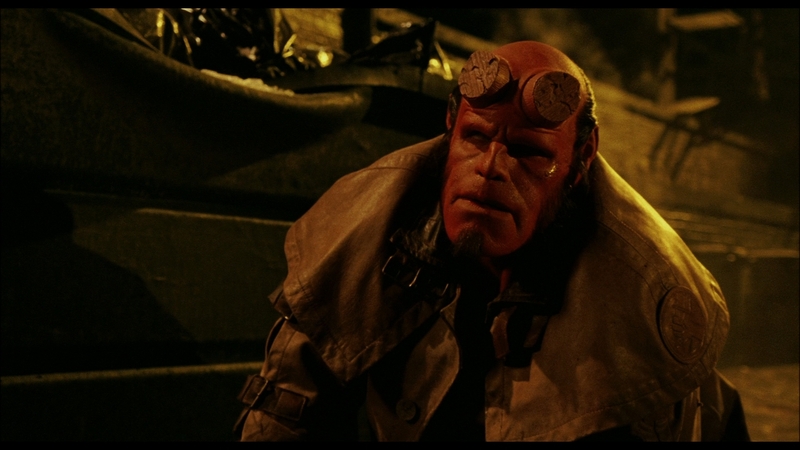 Hellboy is a demon who has been raised from childhood by a scientist, Professor Bruttenholm (John Hurt), and works to save humanity from the paranormal forces of darkness. 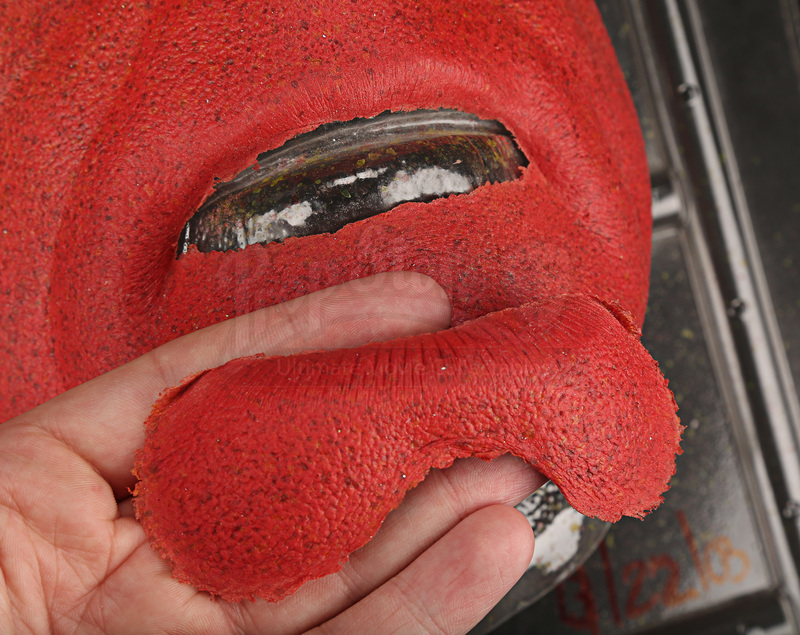 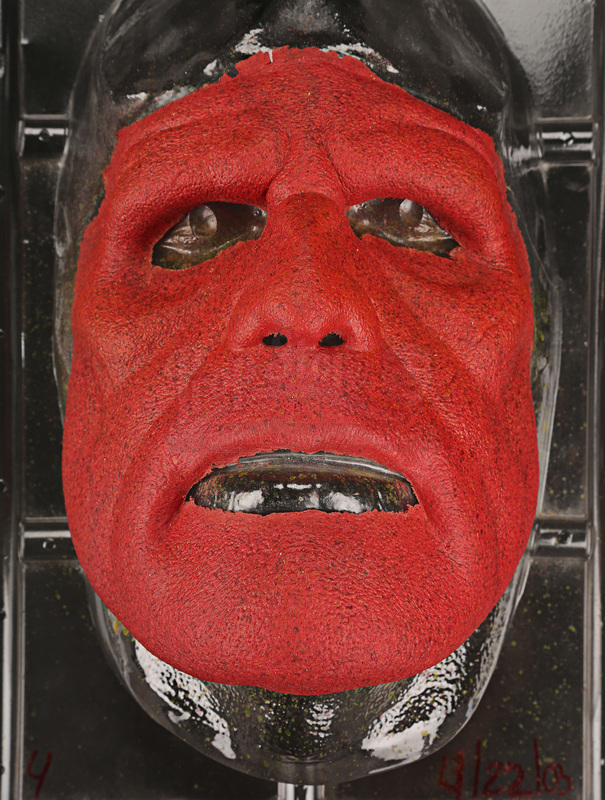 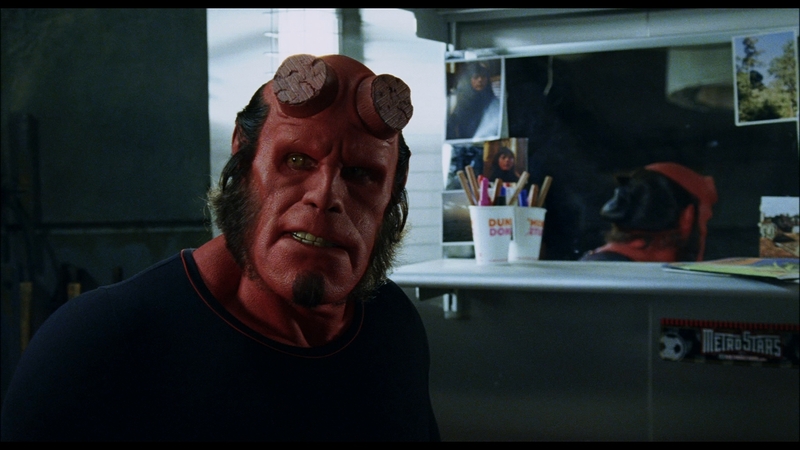 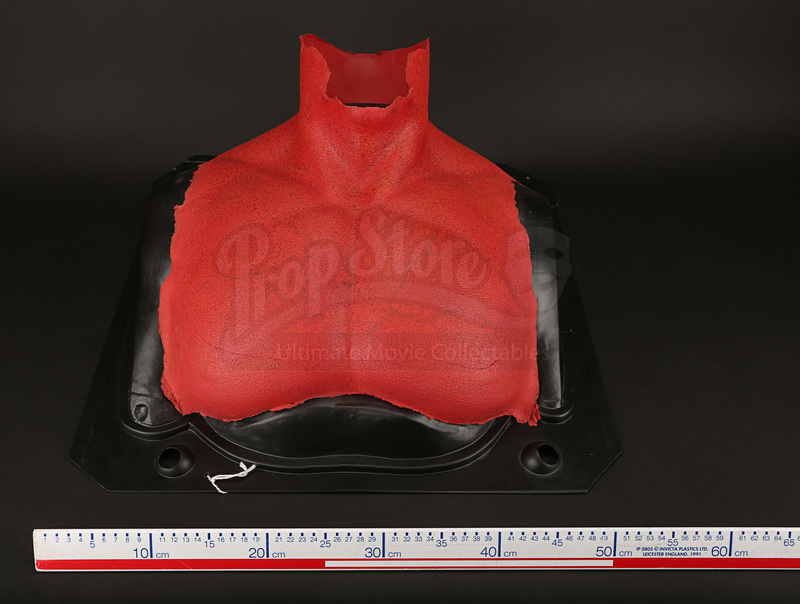 This foam latex set of prosthetics were made for the production and would have been worn by Perlman in his role as Hellboy. The set includes his chest and throat, his face, and his lips. 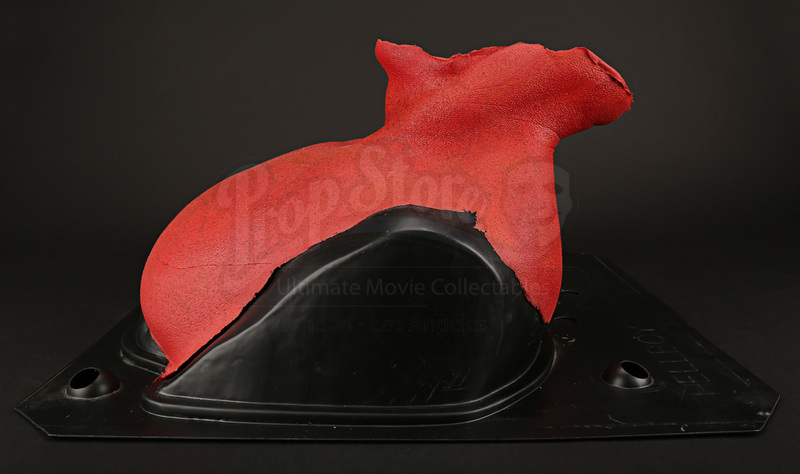 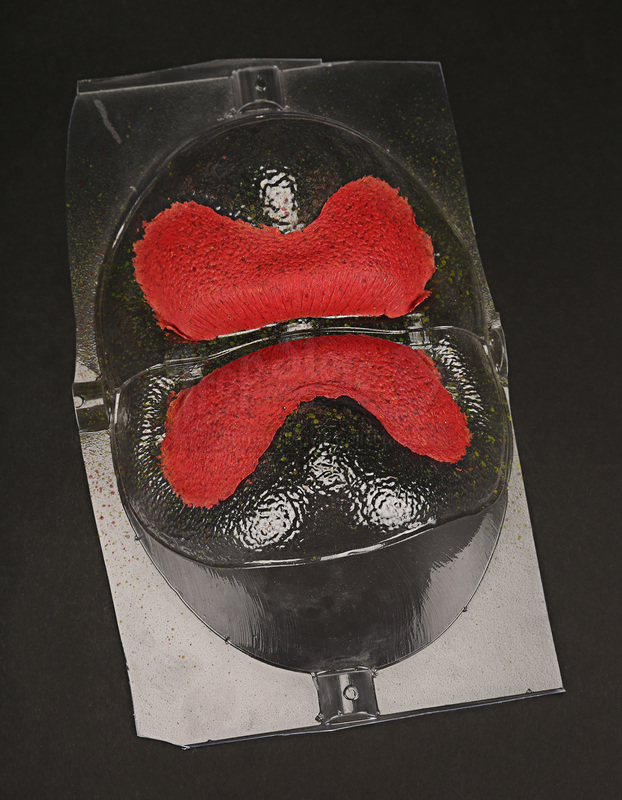 Each piece comes on their own custom built production-used moulds which helps them keep their shape. 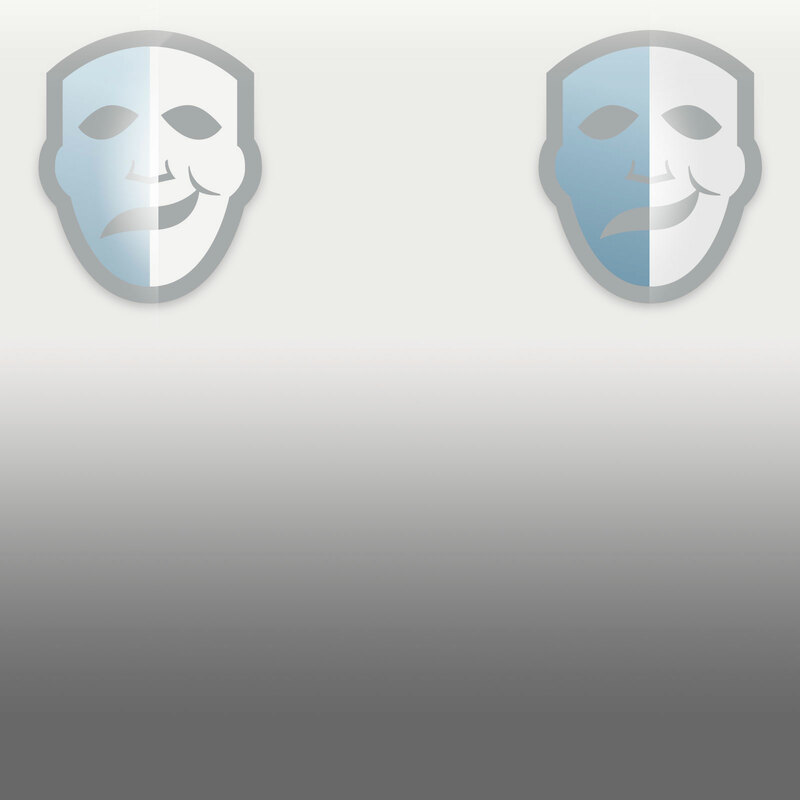 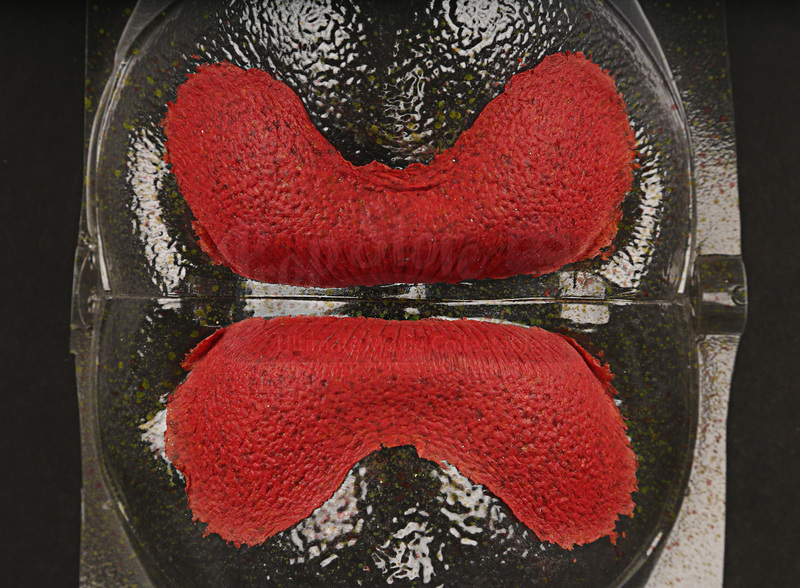 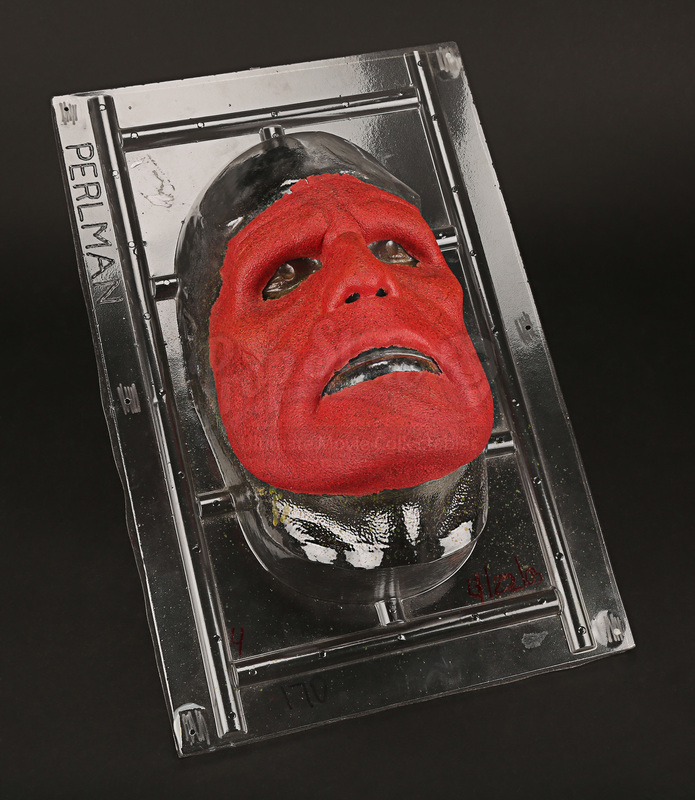 The face mould has ‘Perlman’ printed on it. 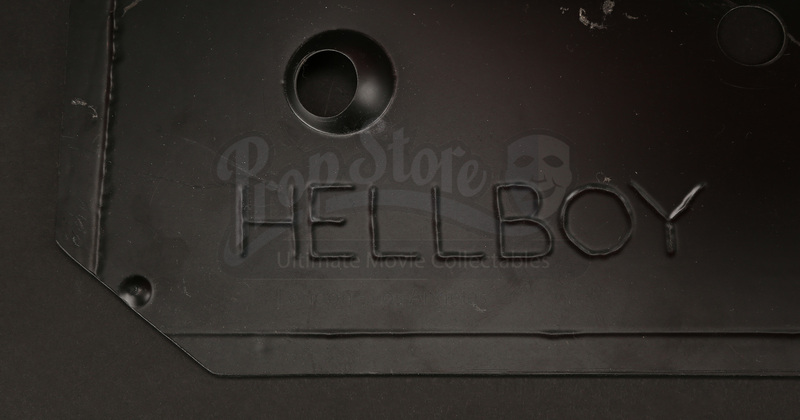 Each item has a small handwritten code on the back, which would have been used by the production to identify them. 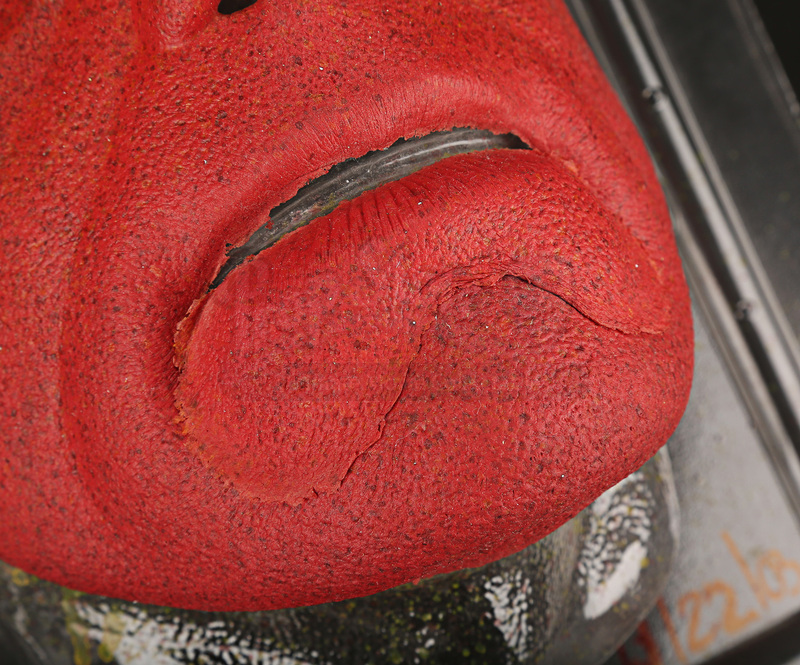 They show very minimal wear, with only some minor flaking around the edges. 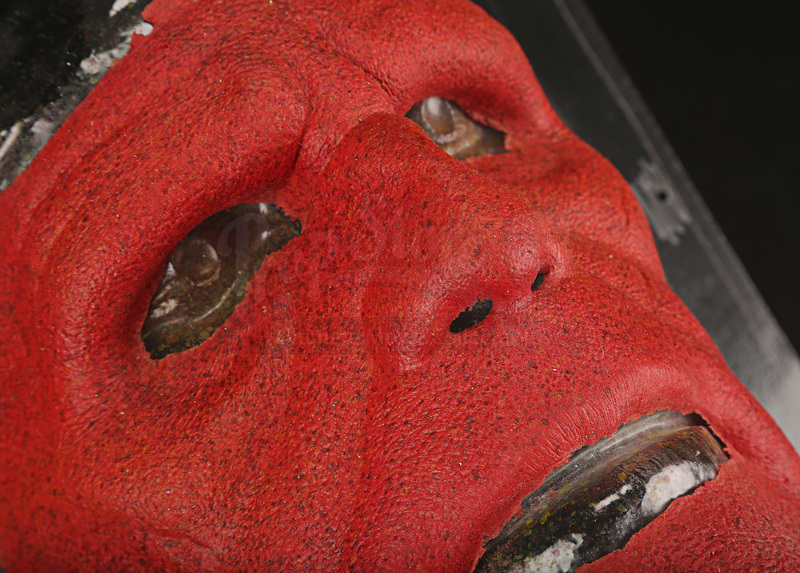 Considering their age and use they are in an excellent condition.